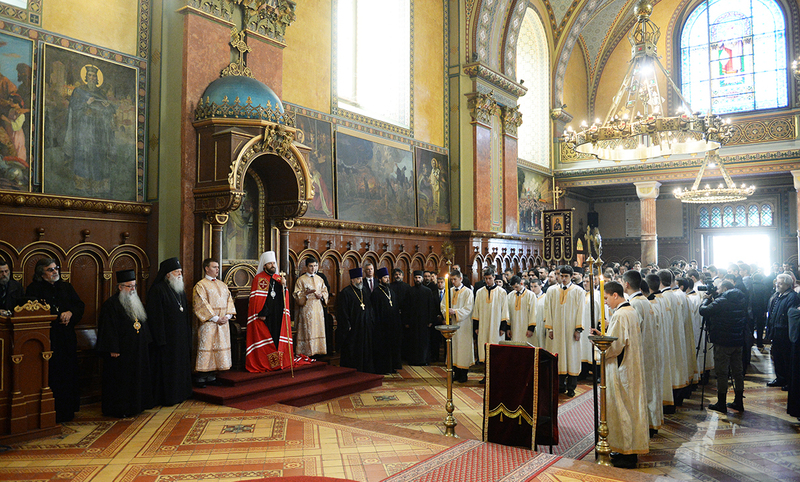 Within the irenic visit of His Holiness Kirill of Moscow and All Russia to the Serbian Orthodox Church, the memorial plaque in honour of 150th anniversary of the birth of Metropolitan Anthony (Hrapovitsky) was consecrated in Sremski Karlovci on Saturday, 15 November 2014. This memorial plaque was placed at the door of the Patriarchate Palace in Sremski Karlovci, which had been given at the disposal of Russian bishops in exile by the Serbian Orthodox Church after the First World War, and until 1946 it was the headquarters of the Russian Orthodox Church Outside Russia. Upon the blessing of Patriarch Kirill, the consecration of the memorial plaque was performed by chairman of the Department of External Church Affairs of the Moscow Patriarchate Metropolitan Hilarion of Volokolamsk. 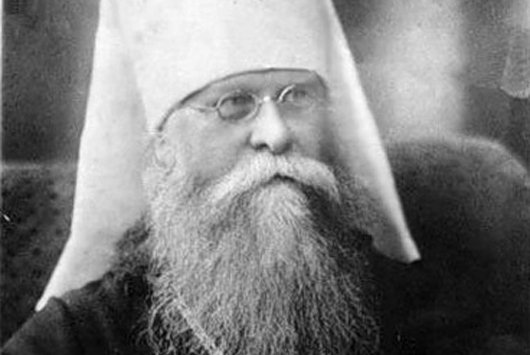 Archbishop Michael of Geneva and Western Europe, Serbian Bishops Hrizostom of Zvornik-Tuzla and Vasilije of Srem as well as the principal of the Representation (Podvorye) of the Moscow Patriarchate in Belgrade protopresbyter Vitaly Tarasyev and Secretary for Inter-Orthodox Relations at the DECR protopresbyter Igor Jakimchuk participated in the solemn ceremony. NFTU: What did Metropolitan Anthony think of the Sergianist Church?